Prime Minister Narendra Modis maiden visit to Davos to attend the World Economic Forums Annual Meeting carries great significance as he will spread the word about Indias progress globally, thereby increasing investments into the country, Commerce Minister Suresh Prabhu said today. The minister said Modi will throw a grand reception and hold a separate meeting with select CEOs, adding that "everybody is keen to meet our Prime Minister". On measures being taken to draw investors, the commerce and industry minister said a panel has been appointed, chaired by the Secretary, DIPP, to ensure there is minimum regulation with a view to attracting more foreign direct investment (FDI) and spur domestic investments. Prime Minister Narendra Modi will travel to Switzerland on January 22 for a two-day visit during which he will deliver the keynote address at the plenary session of the World Economic Forum (WEF) in Davos. This will be the first participation by an Indian prime minister in the WEF in over two decades. In 1997, the then prime minister H D Deve Gowda had attended the Davos summit. "Prime Minister Narendra Modi is going to Davos to spread awareness on Indias progress worldwide and to increase investments into the country. New companies will come thereby increasing employment opportunities here. The farmers income will rise if new agricultural technological knowhow comes. 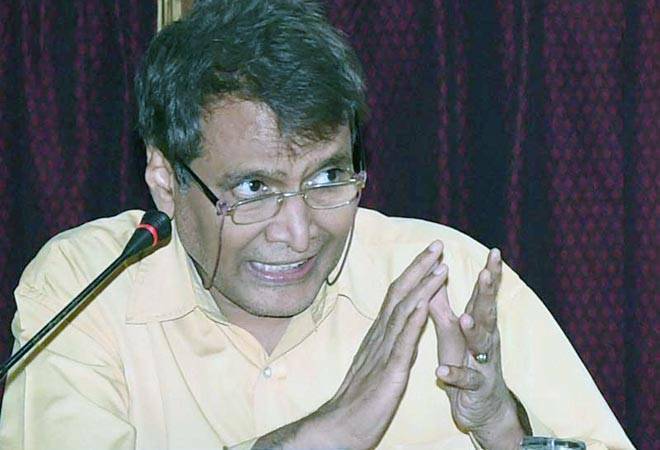 "If fresh investments come to the services and manufacturing sectors that will also benefit the countrymen, especially the working class," Prabhu told reporters here. According to the minister, the atmosphere in Davos is "very good" and several requests have been received from various industries and CEOs from different nations to meet the Prime Minister. "The PM is throwing a big reception where everyone will meet him. He will also hold a meeting with select CEOs. "I feel that after (the PM) telling them about various schemes in India, the investment opportunities in the country will increase further, therefore the Prime Minister going there (to Davos) is really significant," Prabhu said. He pointed out that for the first time, six ministers are also going to Davos, besides officials from the Department of Industrial Policy and Promotion (DIPP) and a strong delegation comprising Indian industrialists. "For India to progress, investments are needed. People in the country should also invest, for that various measures are being taken.